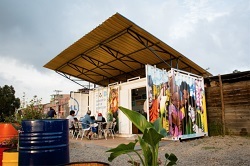 This functional computer lab in a shipping container, dubbed the “Dell Solar Learning Lab”, hosts up to 11 individuals at a time and is solar powered – with the ability to run its computers, lights and projectors completely using clean energy provided by the sun. 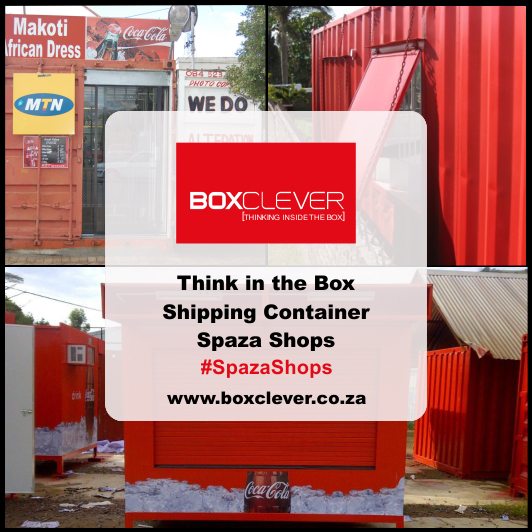 The container is insulated and features state of the art information technologies to bring the underprivileged residents of Bogota, Columbia into the modern digital age. 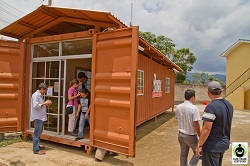 This stylishly orange computer lab in a box is situated in Capucas, a rural village in Honduras. The entire computer lab container is raised off of the ground, featuring an angled roof for water displacement due to year-round heavy rains in the area. 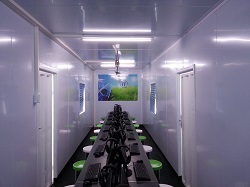 Using a 12-metre refurbished shipping container, this computer lab features state of the art computer technologies closed off by a glass sliding door for aesthetical appeal. 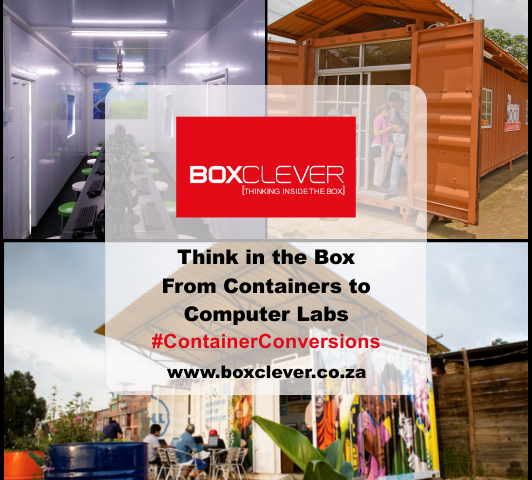 Jonathan Michael, founder of giveITback, awarded Umhloti Primary School in KwaZulu-Natal a computer lab container conversion that is completely off the grid. 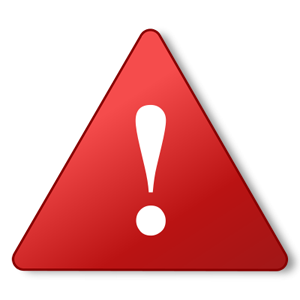 The entire lab runs off of batteries which are charged by solar panels. This self-powered computer lab features insulation and ceiling fans for temperature control purposes, and houses a total of 12 computers. The container computer lab is portable and can be transported by truck to anywhere it is needed. 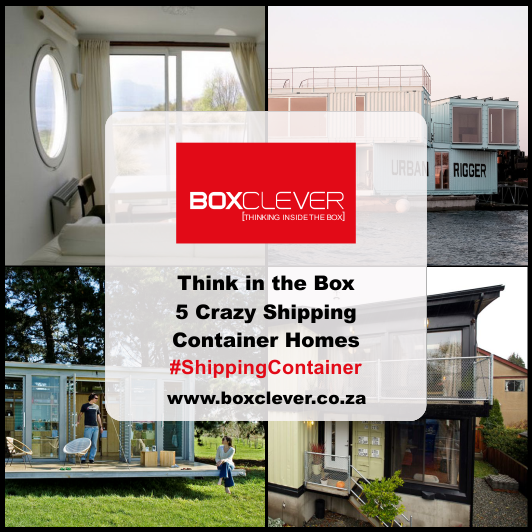 Getting your hands on pre-used shipping containers has never been easier! 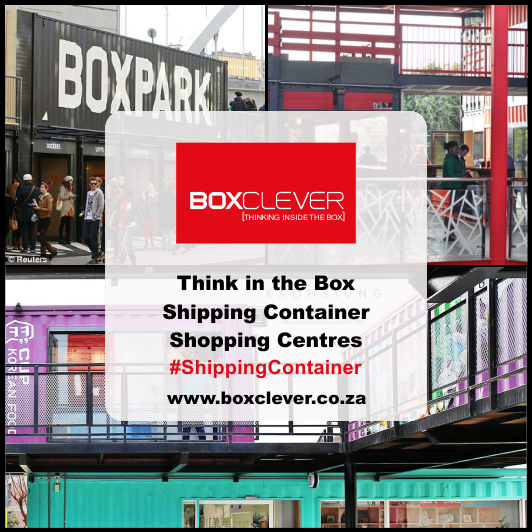 The team at Box Clever are highly skilled in shipping container conversions, and we see to your cargotecture needs every step of the way – from sending quotations on used or new shipping containers, to delivering them at a site of your choosing, to giving valuable insights into the cargotecture process. 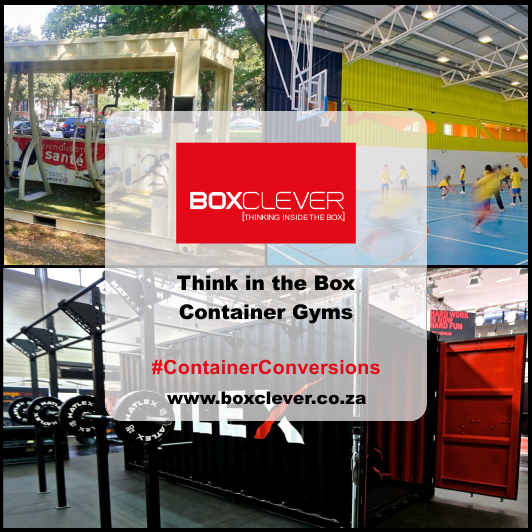 Speak to us today and discover the Box Clever difference for yourself!